$45. 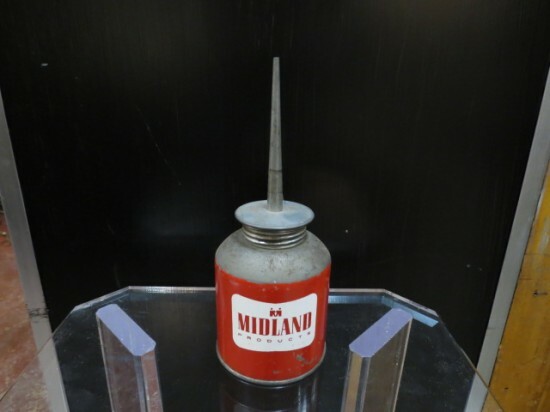 Vintage Midland metal oil can with pointed spout, c. 1940s. Nice red paint can with midland products printed in red on a white ground. Add this to your collection. Good condition. 3in wide, 7.75in tall.